"We auction all sorts of properties and equipment, property and vehicles, and even household and office goods. There has been an increase, especially since the start of the second half of the year," said a receptionist at a Harare auction company. 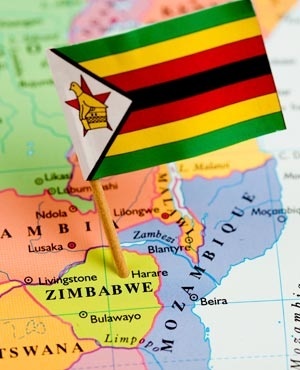 Zimbabwe's economy has continued to balk under worsening conditions, although the country has started to informally re-dollarise, as the bond notes also accepted as legal tender continue to lose value. A notice in local press, calling for interested bidders, refers to "a matter between Jameson Chinyan’anya and 36 others vs. Courtney Hotel Private Limited" in which a "certain piece of land situated in the district of Salisbury (Harare) called Stand 15129, also known as Courtney Hotel," is being auctioned off. Even bigger companies, such as Meikles Limited - which has a partnership with Pick 'n Pay in Zimbabwe’s TM Supermarkets - have also been defaulting on loans. In September, Meikles said it was now subject to litigation over two overdue loans, owed to government related finance institutions and amounting to $5m.